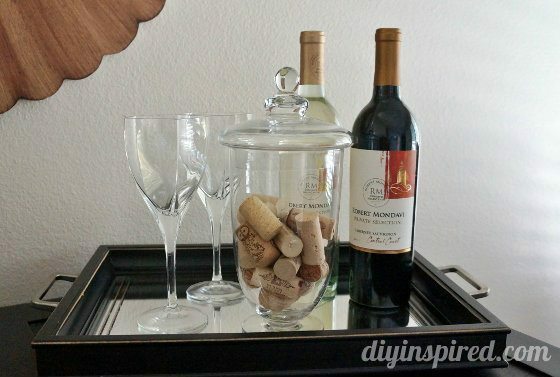 I am so honored to have Robert Mondavi Private Selection sponsor this DIY summer craft tutorial! 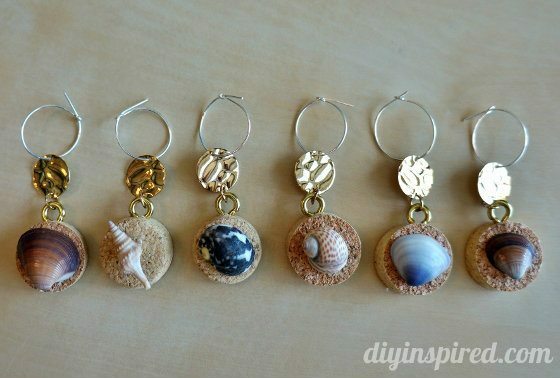 Today I want to share with you how to make DIY Recycled Wine Cork Wine Charms. 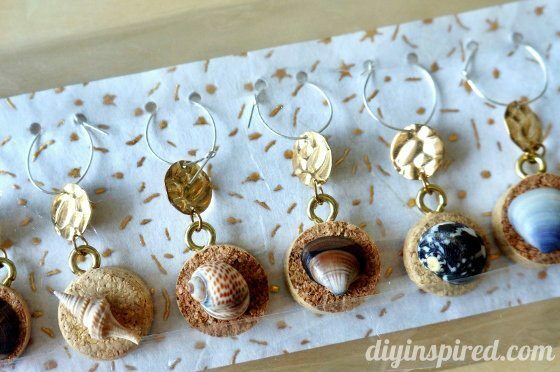 These would make great homemade party favors for your next summer party. 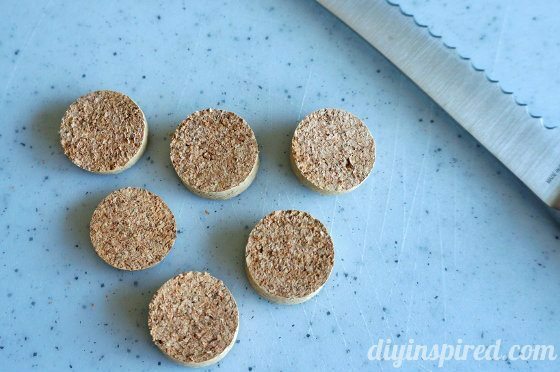 Using a serrated knife cut the wine cork into six even pieces. 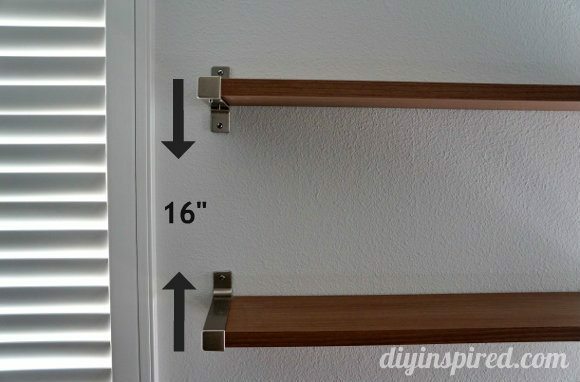 This is very easy to do by applying a little pressure. Make sure you use a cutting board. 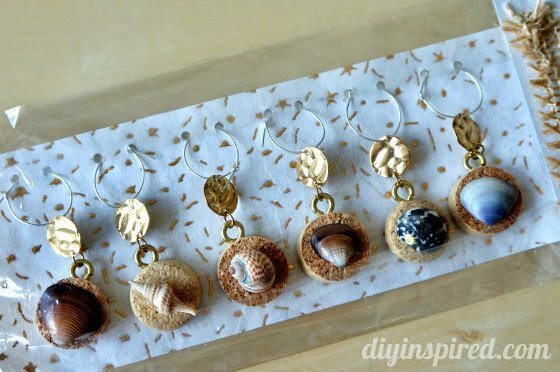 Choose one shells for each of your charms. Make sure they are all different. 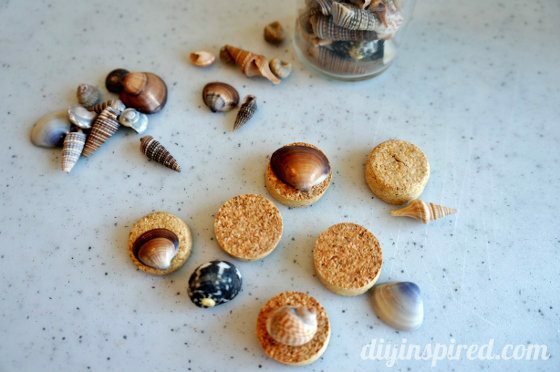 Use a strong glue to glue the shells onto the center of the cork. 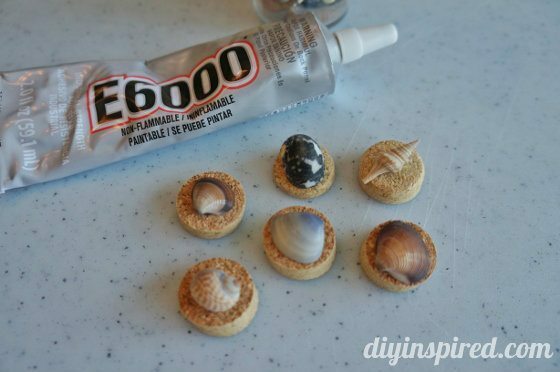 I used E6000 but hot glue will adhere well also. 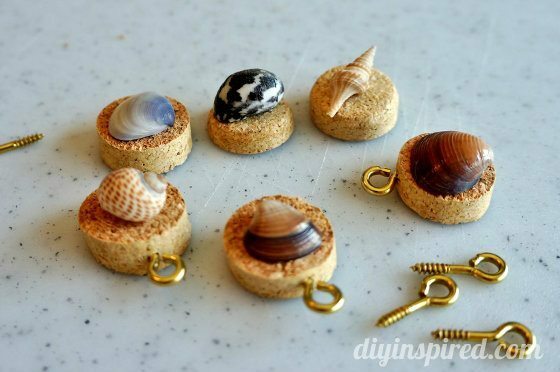 Screw in a small picture frame eye hook to the top of each charm. 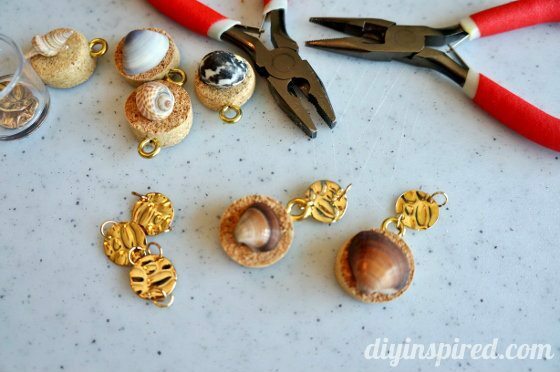 If you desire, add an extra charm or bead with the help of small pliers. Add the hoop earring notion. Here is an AFTER photo. 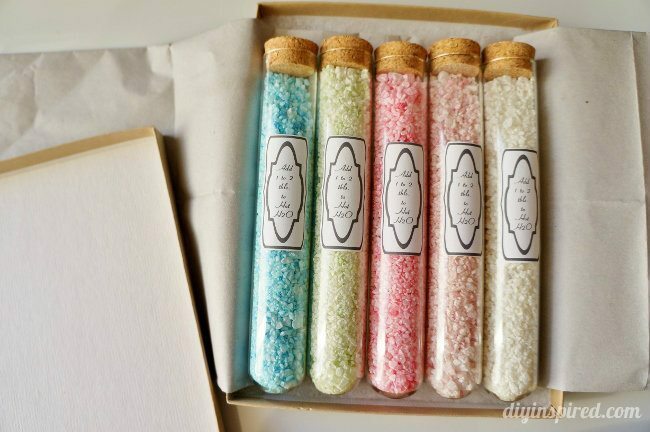 If you’d like to make them as a homemade gift or party favor, you can get creative with your packaging. I decided to use clear plastic favor bags. I used a small craft punch to punch holes into decorative cardstock so that the charm will easily slide through. Six charms fit nicely onto a 3X4 piece of cardstock. Here are a couple photos. 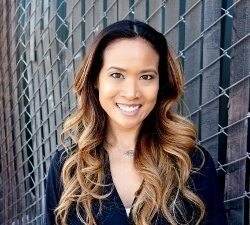 I wanted to give a big THANK YOU to Robert Mondavi Private Selection for sponsoring this post. All opinions are 100% my own. Monetary compensation and products were provided by the company. Very cute…what an adorable idea! Thank you Joni! They were fun to make! These are so cute! 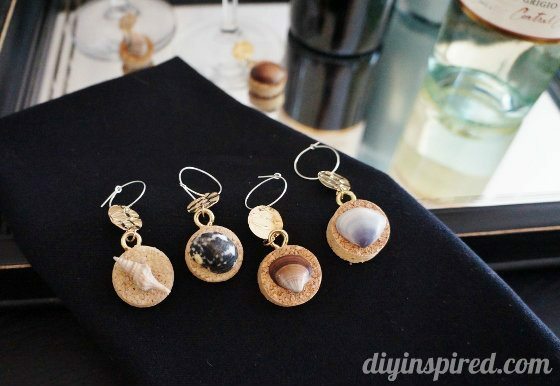 What a great idea to reuse the corks. Thanks, Sharon! This was my first recycled cork project. I’m thinking I need to do more! These earrings are so unique looking! I’ve never seen anything quite like them! Well done, well done. 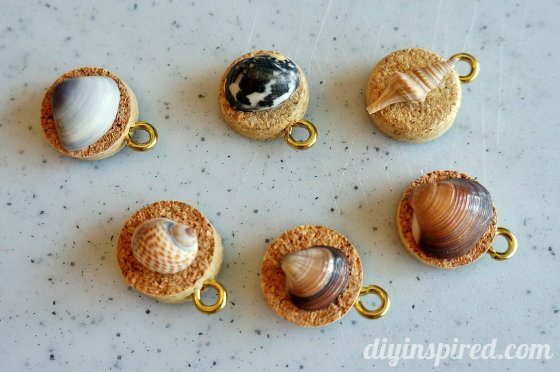 These Recycled Wine Cork Charms are so cute… and, although, I’m usually not very good with DIY… I think I could actually do this one. Thanks for the information. Thanks, Tammy! Yes! They are very simple to make. I hope you give it a try! Hi Tammy, I cut each cork into six pieces. 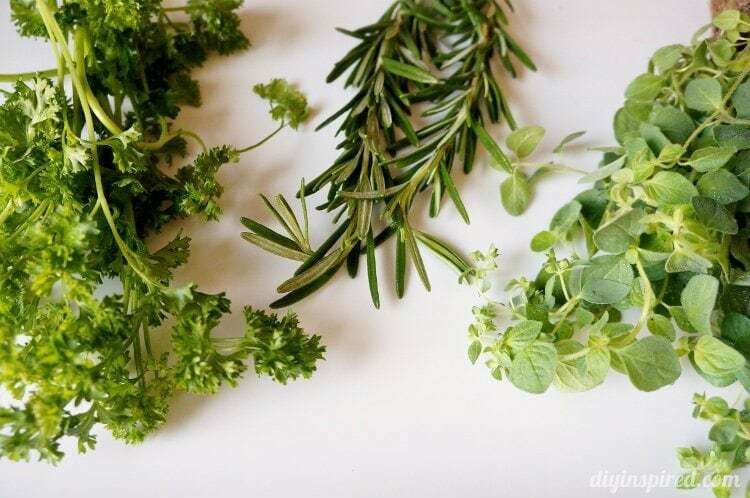 So the easiest way may be to cut it in half, and then cut each half into another half again. I hope this helps!